James Zimmermann, principal clarinet at the Nashville Symphony, takes issue – passionately – with a video from the London Philharmonic Orchestra on how to play Rimsky-Korsakov’s Scheherazade. Have some respect for your colleagues across the pond filming solos in what looks like a rehearsal break in Henry Wood Hall. Seriously. You can politely disagree with someone’s interpretation to make a point, but don’t roll your eyes when you play a clip of someone else playing a solo or plaster a big red cross over someone’s explanation. You come across as extremely arrogant and I hope you rethink your approach before you post another video like this. I agree. But just so you understand the US viewpoint – the original LPO video makes it looks like they consider themselves to be the authorities on Scheherazade. It’s a little self-righteous to post a video like that in the first place. On the flip side, Nashville is a great symphony with world class players, but they might have a chip on their shoulder when it comes to some Brit telling them how to play solos they’ve been doing all their lives. Americans often feel that Brits are talking down to them, that they consider themselves culturally superior. I think they might be surprised at the high level of artistry in a symphony like Nashville’s. You never know who’s going to be watching the videos you post. You can’t assume just because you’re LPO that everyone is going to bow down to what you say. That’s just not the way I or any colleague in London I know see things. Some of the best recordings I own are of the lesser well-known American orchestras. So no, I wouldn’t be in the least surprised at the high standards of the Nashville Symphony. What’s more, I don’t know a single British player who would be! Neither Jonathan or I felt in any way that we were talking down to any other orchestral player as great authorities. This was a marketing video timed to garner interest in a concert at the RFH in London with a little playing and a thought or two about what goes through one’s head when approaching a solo. How it has blown up like this amazes me. Thomas, I’m glad to hear your thoughts on this. I’m especially relieved to hear that you don’t look down on US players & hold a healthy respect for lesser known US orchs. It’s also interesting to learn that this was done as a marketing video for your orch. for an upcoming concert, not as an authoritative guide to playing Scheherazade. That changes the scenario entirely. What it comes down to then, is that you posted your opinions & a prof. colleague across the pond disagrees. I think this is a actually a very worthwhile platform – a debate between 2 pros about the interpretation of a famous work. The problem is that the Nashville guy, while he makes good points, is kind of nasty & brusque in how he addresses this. It’s pretty anti-social actually. I think if he toned it down it would be an excellent dialogue. I think it’s blown up because no one’s ever seen a debate between orch. players on how to play a famous solo. It’s a new thing. 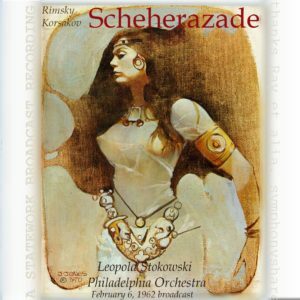 It may be amusing to non pros, but to people like me who do Scheherazade often, it’s super interesting. And I’m not even a clarinetist! I think you you should run with this! Open a dialogue. Challenge the Nashville guy to post a famous solo that his orchestra has coming up. Looking at their season I see they’re doing Ginastera Variaciones Concertantes in April, along with Ravel. Challenge him to post a demo “how to” solo for the clarinet variation in the Ginastera, which is virtuostic & not that well known. Or whatever Ravel they’re doing. It would be great PR for HIS orch. Then you post your opinions in response to his video. But you can show him how to do it the right way – diplomatically, without red x’s & so forth. It would be a fascinating interchange. It could be a clarinet challenge! You guys would be woodwind celebrities! Your orchs. would love you for the publicity! Other musicians would enjoy to see something like this! At any rate, your video is lovely – you play beautifully & I enjoyed it very much! I’ll be honored if Thomas takes the time to weigh in on my Ginastera video when it’s finished! I judge just how fast i play that clarinet solo on how i like the bassonist on that particular day. So it is all best to play it by ear. My general feeling is that he gets to play a century more of music, so i play it as fast as i can. Ah, thank you for injecting some much-needed humour to this matter! And an extremely respectful nod to you and your illustrious career Michele. Hah! Nice to hear from you Michele! Hope you’re enjoying retirement. I don’t think Americans see things that way either. A good recording is a good recording regardless of who makes it, and on the flip side there are some terrible recordings out there by good orchestras. I agree that neither Thomas or Jonathan came across as condescending. They come across as experts and they both walk the walk as well as talk the talk. That’s why I said it was a great video and recommended everyone check it out. Doesn’t seem like their feathers were ruffled either – looks like that’s happening mostly with the commenters! Kalman Bloch, was told by Stokowkski to add more triplets and play it very wild!!!! I never did and used the Bonade book to help me keep track of the triplets. So members of the LPO are not allowed to express their opinions in case someone feels bad about it? I don’t see any evidence that the LPO musicians were targetting anybody in particular, or expecting anybody to “bow down”. The problem is in the inference, and nowhere else. Although I’m a musician I’m not going to add to the opinions expressed on the music. What struck me is that the response was blustering, argumentative, puerile and self-righteous. Let’s stick up for good manners even when we have difference (and incidentally I’m not an American or a Brit). One commentator said that the LPO musicians spoke as “authorities.” They certainly did not, but the critic has missed the point that orchestral musicians OUGHT to be authorities on their subject. There should naturally be a degree of freedom in the sections under discussion (as we heard), so I don’t think that the LSO musicians’ are playing in straight-jackets as a result of the consideration expressed, which would be the last thing any real musician would want. I agree entirely that musicians ought to be authorities on our subjects, but that raises another important question: Where does this authority come from? Does it come from the chair a player has? From the number of years experience a player has? From how much money he or she makes? If so, then the players in the worlds’ most so-called prestigious orchestras can’t be questioned, and conversely players in smaller orchestras can’t be respected. In my opinion, authority is something someone has when I think they’re playing well. In this case, I thought both LPO players played beautifully. Lots of people seem to think I was critical of their playing, but I have nothing bad to say about their playing. It’s hard to sound as good as they sound in this video, particularly after a long day of rehearsal. I’m critical of one idea they put forth, which is not the same thing of being critical of the players themselves. Whoops – didn’t mean to repost the original comment underneath my response. Sorry about that! It was good humoured and the fag played just as fast, so I think this is just a bit of banter. I can’t take it seriously. Both videos are good in their own way. Isn’t this just British being British and Americans being American? This is friggin’ hilarious….I love it! Actually this attention to detail, the practical problems of performance, team work, technical excellence and consideration for others is how musicians craft performances for all of us to enjoy. So not hilarious at all. The debate introduced here is just what classical music needs. I for one would watch a whole TV series of top musicians sharing and debating in this way. This isn’t sharing or debating, it’s patronising, arrogant and disrespectful. So hilarious in a way, yes. There is a debate raised, two people shared their ideas. And this is interesting. So the British musician is super polite and the American was more direct. While the world shrinks rapidly we need to accept that there are different ways of expressing an opinion. Or are we telling everyone how to behave as well as play music? Maybe this is why there’s a person in the middle to decide? Crap. The video, the playing and the approach are superb. I was very pleasantly surprised at the LPO clarinettist’s accommodation of speed. Of course, they both played it clean and flawlessly. And musically. I’m looking forward to the Nashville Symphony’s recording. One word: interpretation. Wouldn’t it be boring if every piece was played the same! Both of these players is right. Heaven forfend if a 3rd clarinetist were to get involved. Anarchy would break out. It seems intended to come off as amusing sparring over musical matters, but his delivery is so shrill and arrogant that I can’t listen to this guy talk for more than a minute. I can live without the delivery of the response, but I agree that what the LPO clarinetist said is astonishingly backwards musically. The solos SHOULD sound different – this isn’t a competition to see which instrument can play the fastest. If the two solos are paced exactly the same way it completely eliminates any reason for the repetition of the cadenza in another instrument. I rather think you missed the point I was trying to make, not very surprising as it was very badly put by me. (I was tired after a long day of rehearsal) I was trying to say that as players we don’t exist in a vacuum. I don’t know how many times I’ve played this piece, but it’s enough to know that the way I play it generally does effect the player to my immediate left who follows. I don’t remember saying it’s a competition. I shouldn’t have said they should match that I would like to retract. Fair enough! I see your point better now – thanks for clarifying it for me. Best wishes and apologies if my criticism came off as unduly harsh. The difference in timbre doesn’t count? Bravo. Moreover, the conductor (remember him/her?) should realize why what is there in the music is there and how it works and provide how details of all kinds contribute to the big picture. Rimsky may be a minor composer but he was a wizard when it came to the instruments of the orchestra and how to realize his expressive intent. Mr. Zimmermann is bang on. I am sick of people attack experts as arrogant, shrill, whiny, whatever. You don’t know what they do, so listen and learn. People teach. The stupid attitude that the internet renders everyone equal and knowledge is simply personal opinion and all that rot is pure stupidity. So let the experts argue. If you want to hear something really out there, listen to how Temirkanov wants the solos played, like folk instruments. And then there’s the harp cadenza: the awkward written one, or the smoothly elegant and dramatic one by Salzedo? Harp cadenza? If memory serves, the harp accompanies the solo violin – nothing more. Are you referring to Capriccio Espagnol?? No, there’s a fermata where the harp does a couple of flourishes while the strings hold their “ppp” tremolo. Not a big cadenza like the clarinet & bassoon have, but still a cadenza. It’s so often just a matter of syntax. An expert, a teacher, will speak in objective terms, while the relatively stupid internet reader thinks everything is subjective, and thus interprets objective language as an attack, which is illiterate of them. And many things in music are objective, not subjective. And you know what, if someone seems to be telling you what to do, what to think, and it sounds parental, well maybe it is and you should listen. Tom and Jonathan: It was a great pleasure to play this piece with you guys all over the world this season! And a privilege to play Schubert 8tet and Brahms 5tet with you at Wigmore and more. Your humility, sensitive listening to each other, and teamwork make you one of the best wind sections in the business. Makes me proud to be in this band. See you bright and early at Gatwick for another great tour! Why didn’t the Americans play the 2 excerpts so we could hear them all? It’s not a competition, just hearing what sounds best to the listeners. James’ response to the LPO video was hardly “fiery”, but it was American in style: extraverted and direct. I also felt is was a bit tongue-in-cheek, like fake ‘argumentative’. James does NOT chide the British players or say they’re trying to tell everybody what to do or looking down on anyone, nor does he say they should take his advice and do it his way. He is merely expressing his opinion on the other side of the story. It’s interesting to me how many people in this thread made assumptions about both videos’ producers and their intents. Sounds like someone trying to stir things up. btw, I have already weighed in, as an American clarinetist: I was surprised that the British players felt they had to play their cadenzas the same. Cadenzas are, by their very natures, personal, individual, and soloistic, so why copy someone else’s? My thought was that perhaps the conductor asked them to do that. I also agree that there is no need to play them like a bat out of hell…enjoy the sound and the moment. Last point: who plays cadenzas the same way every time? I sure don’t–how I play depends on how I’m feeling the music at that moment. The same goes for vocal cadenzas when I’m singing opera. I also think these videos are clever marketing tools, to interest folks in attending live concerts and making their own decisions about how the pieces are played–good idea! I hope everyone is inspired to get out there and hear the wonderful musicians of these and other classical organizations! Maybe it was just my imagination, but Mr. Zimmermann seemed offended that someone was trying to tell him how to do his job, even though (as far as I could tell) nobody was. I was reminded of a time playing Tchaik 6 in my orchestra many years ago, with a different principal clarinetist (and a different bass clarinetist as well). There’s a place in the first movement where the 1st clarinet hands off a descending line to the bass clarinet. No one else is playing. The principal was very invested in the beautiful quintuple-piano he was producing at the end of his solo. When the bass player said he was unable to come in that softly and asked the principal if he could maybe not do quite such an extreme diminuendo in the interest of a more seamless handoff and a longer diminuendo, the principal’s reaction reminded me of Mr. Zimmermann’s: I’m serving the music and the composer. The composer wrote quintuple piano, so that’s what I’m doing; and if you can’t match me then maybe you’re just not very good. In the performance (we only did single performances in those days), the properly chastened bass player tried to match the barely audible tone of the principal, but wasn’t able to. It didn’t squawk, but there was a moment of silence while the bass player tried to get the note to speak, followed by a “sforzando piano” (only one or two p’s, not five). The musical line was disrupted, and the “calm before the storm” quality of the moment was ruined, but boy that was a beautiful pianissi-issi-issi-issimo. Great story, but a totally different scenario because it’s a handoff. Remember in my video when I said “if this were a duet, that would be one thing” – that’s what I would do here. If you’re handing off a solo, the players need to accommodate each others’ abilities and the limitations of their instruments. But two cadenzas is something different. The Qwerty Warriers are out in force again. The LPO players are superb. How many on this thread actually earn their living by playing in a world class orchestra? Musicians treat fellow musicians with respect, whether they play in the Nashville Symphony, Billabong Sinfonia or the LSO. Scurrilous remarks and I fear the old green eyed monster raising its ugly head here. Principals earn their money by playing such solos. Bravo boys! Mr Zimmermann is just repeating a few things he heard at conservatoire the way American singers do when they say “it’s all about the words” (!) as though it’s a innovative strain of thought. You have to go easy on the guy. He’s stuck in a country that hates culture, and he looks like he’d rather be living in Brooklyn. He made a video to impress some friends and try to have Buzzfeed-style relevance and pseudo-wit. The LPO is still amazing. Consideration to the music is also listening to each other: dynamics timbre timing articulation intonation… Much respect for T W approach which do not betray the spirit of the piece but creates lines and unity. I would surely enjoy to play with him. Mr Zimmerman can have his own idea on the piece but why does he feel obliged to be so rude about somebody else approach? Maybe it’s the “one thing can’t be good unless everything else is bad” point of view that seems to pervade… well, pretty much everything. As a clarinetist I have played this solo many times. I have always thought of the two solos as two different people in two different stages of their being. The clarinet is the young, show off, trying to impress. The bassoon’s take is the more mature and worldly experienced reaction. I couldn’t agree more John! The opening solo has the feel of an elderly woman in my opinion, maybe recalling a point earlier in life where she knew the Kalandar Prince. Then the strings turn back time and the clarinet (her voice again, but at an earlier stage of life) tells an intense part of the story. Later, when the bassoon plays it, we’re back in the present day, older and wiser. If that’s true , matching the solos doesn’t make sense. Thanks to Norman Lebrecht for making this post! I’ve enjoyed reading all these comments. It’s fascinating to me how my video is being interpreted as a personal attack on anyone. I have an issue with the idea put forth in the video, not with those espousing it. I wrote a post on my blog about at http://www.clarinetjobs.com if anyone’s interested. Best of luck to all and thanks again for participating in the conversation! Hi, James! Thanks for joining the conversation! You’ve opened an interesting dialogue here & I think we’d all like to see more! Why don’t you post a vid of your interpretation of the clarinet variation from the Ginastera Variaciones Concertantes that you’ve got coming up – or any other major solo – and let Thomas give his thoughts on your interpretation. Your orch. would love the publicity, I’m sure & it would be a great chance to show your good ideas in practice. This could be a great dialogue between Principal players in 2 fine orchs. As a matter of fact I’m already planning a Ginastera video! I just launched a series called “Excerpt Education” on my YouTube channel (http://youtube.com/clarinetjobs) where I show how these things actually play out in rehearsals in concerts. I interview conductors, my colleagues, soloists, librarians – anyone whose input would be pertinent. So far I’ve done Mendelssohn 3 and Rachmaninoff 2nd Piano Concerto. If you check those out you’ll see the approach I take to instructional videos, and you’ll see the videos aren’t as much about my opinions or interpretations as they are about how life as in an orchestra really is. Have fun watching! It’s got everything from preparation to rehearsal footage to analysis of the concert recordings to commentary. I hope it’ll help people have a better time with the piece and also be fun to watch. Enjoy! Interesting thoughts here. Bolero comes to mInd. We don’t all play the solo exactly the same way. It would be REaLLY boring! Ultimately, this is an argument over interpretation. How ridiculous. I never got the feeling the LPO players were being condescending in the least. Nor did I ever feel they were putting forth their approach as definitive. Interpretation is simply that; interpretation. They may have decided to play the cadenzas in a similar manner or whomever was conducting may have asked them to do so. Either way, it seems to have really ruffled the feathers of their Nashville counterpart. Apparently there is some pretty thin skin in Nashville. Or this is just an example of the current social climate in which everyone is offended by everything. Perhaps a new movement like #myinterpretationmatters will come of this. I sure am glad that brass players are more collegial and supportive and not nearly so high strung. Having been at the centre of something I never wished to be,and in a week in which I’ve had comments thrown at me such as ‘astonishingly backwards musically’ (something not easy to deal with if you’ve devoted your lifetime to music and are used to the relative anonymity of being an orchestral player), I’m now going to attempt to do something that I never set out to do when Jonathan and I made this video, and explain as fully as I can my thoughts on this solo (one I’m beginning to hope I never see again.) and why it is not a clone of the bassoon solo. I’ll say it again; this is not what we were intending to say. They are just my thoughts, and not by any means the only and definitive way I think one should play this solo. A little further clarification of context first. After 6 hours of playing the Eb clarinet that day (I could hardly move my mouth to talk) Jonathan and I played the solo twice for different camera angles. We were both understanding this video to be something that might pull in a few more audience members to the concert in 5 days time, seen by relatively few and left in obscurity after the concert was done. Never an instructional video for other players. So we talked about an aspect that we thought more interesting to people who love music but aren’t necessarily musicians themselves; how a wind-section works together, and yes, in the best interests of the music. The point was purely about the speed of the fast notes, which is not the sum-total of the solos! The clarinet solo in The Kalendar Prince. There are three interjections, each one building in intensity, and the whole propelling the music into the quick and exciting 3/8 one in a bar that follows. The first is pained perhaps, but with an eye to the storytelling, the word ‘seductive’ might be a much better fit. When I first played this I imagined it being a call to prayer from a minaret, now I’m pretty sure it’s a seductive woman. The second entry more so (the diminuendo on the concert G drawing the listener in even further, hopefully) The third a more drawn out and most demonstritive lead to the G then the most extreme diminuendo of all. (I have sometimes felt that I have the listener in the palm of my hand at this point) and here the pattern of the faster notes is the most interesting to be spelt out more carefully and slowly for the sake of clarity in the hall, depending on the hall. My mind is on the goal, an exciting and clear start to set up the 3/8, so the biggest and longest crescendo of all with a concert D# that stands out clearly in the orchestral stab. To my mind this solo is about a lot of things, but virtuosity is not high on the list. The bassoon solo despite being the same notes (though starting on a D i think) is different. There are forte interjections from the winds that perhaps ratchet up the tension even further and perhaps goad the bassoon. The 3/8 that follows is an entirely different mood sans the big stab. More legato and fluid, much less will-o-the-wisp than the previous episode. So the approach is not the same. Neither Jonathan or I would dream of attempting to clone these solos. It was a small point, terribly made by me I’m afraid, about teamwork but borne out by the further comments I made and I stand by it. I like the Tchaikovsky’s 6 story somebody wrote that Is relevant to what I was trying to say. Perhaps I’d have been more careful about what I said if I had an inkling it might be jumped on like this, but that day I’d about reached my limit and all I wanted to do was get home for my daughter’s bedtime. Somebody mentioned Bolero saying that it would be boring if all the solos were the same. I’ve played a performance with a French conductor that insisted on ironing out all the solos to virtual clones of each other, obviously with an eye on the bigger picture (isn’t Bolero all about the bigger picture) and I’ve played it when saxophonists particularly have ‘jazzed up’the solos so that they couldn’t be more different from the opening solos. To my ear both interpretations worked. Apologies for the length, but if you’ve read to the bottom of this without giving up out of boredom, I would like to say that these thoughts on the solo and musicianship are those I didn’t have 25 years ago when I first played Scheherezade with a professional orchestra and I very much hope that if I am still playing this piece in 10 years time my thoughts will have changed maybe grown even again. Sorry this turned into such a headache! Thank you for getting me to think about different interpretations of this piece! machinations of those lesser persons ( not worthy to be called musicians). I guess it’s time for another bassoonist (retired after 48 years) to speak up. I very much appreciate Thomas’ thoughtful and considerate remarks. My clarinet colleague in St. Louis felt the same way and it was a joy. To Thomas and Jonathan, you both sound wonderful. I’m a bassoonist and just recently played the piece and reviewed both of these videos in my preparation prior to the concert. I appreciate Thomas’ respectful comments towards Jonathan–it’s always nice to see that kind of team camaraderie in a highly respected orchestra. Coincidentally, when we rehearsed this piece, the principal clarinetist, who is also a great friend, approached me on how I’d planned on playing the cadenza because she too was aware of the difficulty on the bassoon. I told her to play it the way it moves *her*, how she wanted to tell *her* story–not to worry about matching me (after all, we’re trying to save Scheherazade’s life here!). I agree with John and James, that there would be no point to repeating the cadenza if it was played the same. Each cadenza is even introduced differently. The clarinet cadenza opens with a simple string introduction, while the bassoon cadenza opens with an almost deferential introduction by the rest of the wind section. I want the clarinet player to fire it up with speed, and *I* want to fire it up as well (I used Leonard Sharrow’s performance as my inspiration). I feel like my job as a bassoonist is to show that that yes, that ‘old sophisticated lady’ that opened the piece with the reverent solo still has it what it takes to compete with the ‘kids’. Playing it too slow (especially starting the cadenza too slow, oh my…) ruins the excitement and the adrenaline of the section.